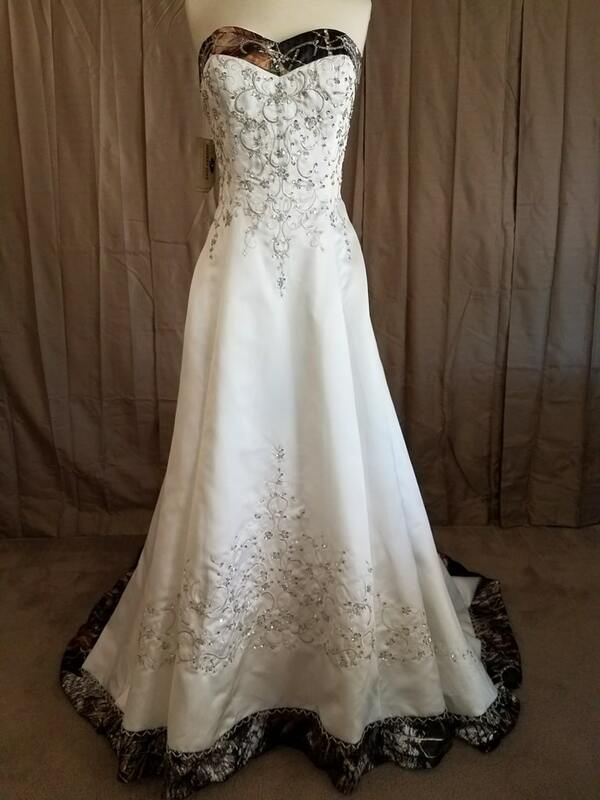 “Size 16 IN STOCK and ON SALE!! 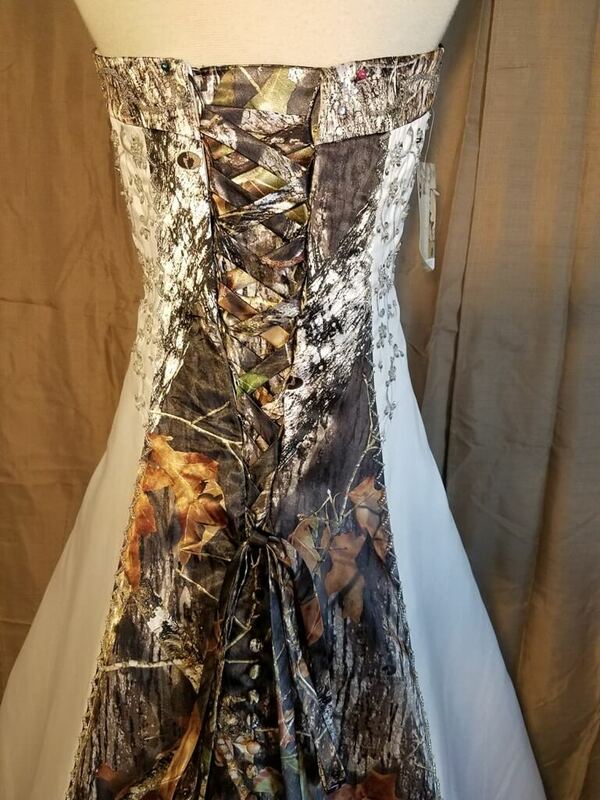 This in-stock ELIZABETH dress is a size 16 in ivory satin and Mossy Oak Break-Up camo pattern. 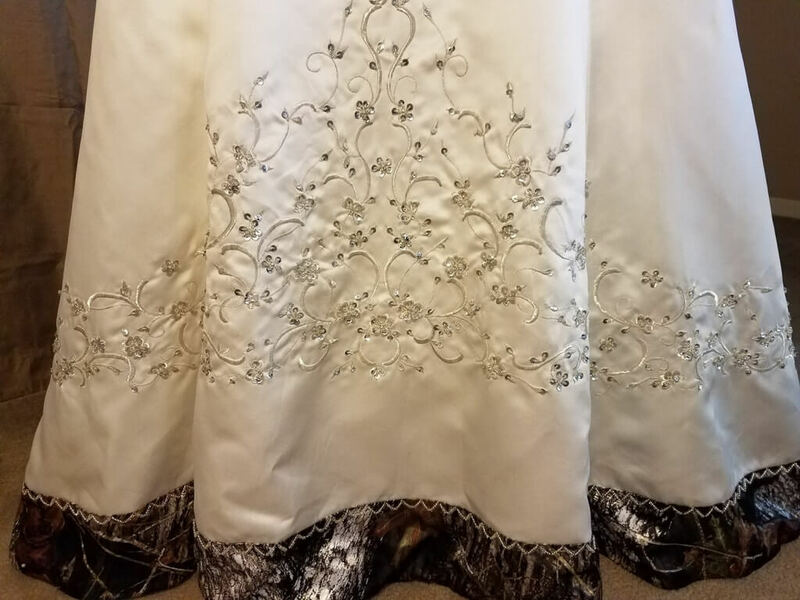 It has silver satin embroidery, hand-sewn beading, and a corset back and removable modesty panel with Mossy Oak Break-Up laces. 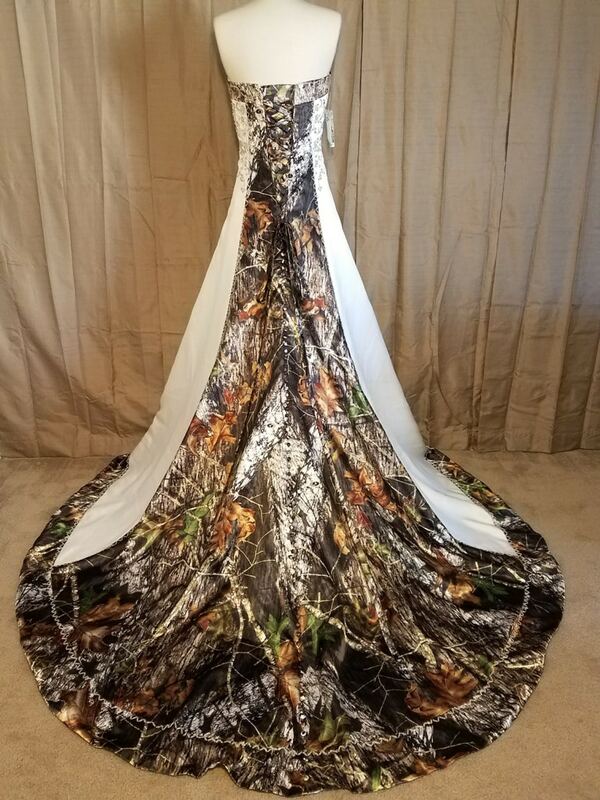 The train of this Elizabeth dress boasts hand-sewn silver beading accents around the bottom, and Mossy Oak Break Up camo patterned hand-sewn buttons in a line down from the corset to the bottom of the train. This dress also has an attached crinoline for fullness, and comes fully lined for comfort! 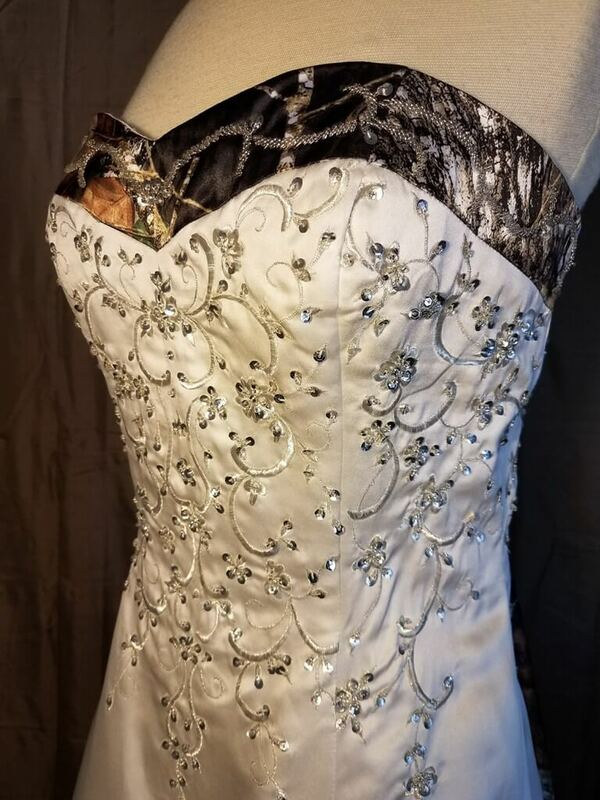 There are also built-in bra straps, triple layered fabric, approximately 10 bones in the bodice for support, and the entire bodice is fully lined. This size 16 has measurements of B-42, W-35, H-48.